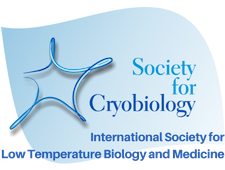 The Society for Cryobiology was founded in 1964 to bring together those from the biological, medical and physical sciences who have a common interest in the effect of low temperatures on biological systems. The purpose of the Society is to promote scientific research in low temperature biology, to improve scientific understanding in this field, and to disseminate and apply this knowledge to the benefit of mankind. The Society requires of all its members the highest ethical and scientific standards in the performance of their professional activities. The objectives of the Society are fulfilled in two primary ways. First, the Society organizes an annual scientific meeting dedicated to all aspects of low-temperature biology. This international meeting offers opportunities for presentation and discussion of the most up-to-date research in cryobiology as well as reviewing specific aspects through symposia and workshops. Second, the Society publishes a journal, Cryobiology, which is the foremost scientific publication in this area, with approximately 60 refereed contributions published each year. Members are also kept informed of news and forthcoming meetings through the Society's newsletters. Benefits of full individual membership include print and electronic subscriptions to Cryobiology, reduced registration fee for the Annual Meeting, waived page charges for publication in Cryobiology, and many others. Participation of graduate students is particularly encouraged through student memberships, which are available free of charge, while the support of commercial organizations and non-profit academic institutions is sought, respectively, through corporate and institutional memberships. 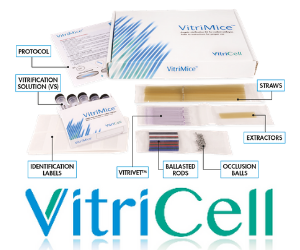 The Society is governed by an Executive Director and a Board of Governors, comprising an Executive Committee of four officers (President, President-Elect, Secretary, and Treasurer), 9 Governors-at-Large, and the editor of Cryobiology. The Society has established a category of Fellows to recognize individuals who have had an exemplary impact on the field of cryobiology. This is aimed at raising the profile of the Society, as well as the individual elected, to a wider scientific audience. The individual must be living at the time that he or she is nominated. Candidates will be evaluated on the basis of their scientific impact of their research on cryobiology, and their sustained nature of that impact. Also of importance is whether the individual has generated scientific offspring and has contributed service to the Society.